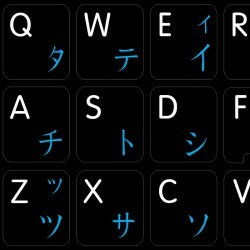 High-quality Japanese Hiragana stickers for variety of Apple computer - keyboards ( Desktop, Laptop and Notebook) such as: Apple, Macintosh.. 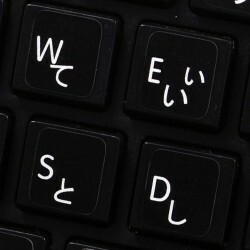 High-quality Japanese Hiragana English stickers for variety of Apple computer - keyboards ( Desktop, Laptop and Notebook) such as: Apple,.. 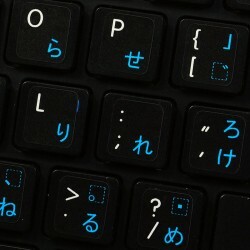 High-quality Japanese Katakana English stickers for variety of Apple computer - keyboards ( Desktop, Laptop and Notebook) such as: Apple,..